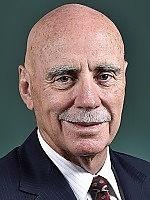 Info Warren Edward Snowdon is the federal member for Lingiari and was previously the member for Northern Territory. He has held these seats from 1987 to 1996 and from 1998 to the present. Born in 1950 in Canberra, Warren attended St Benedict’s Primary School and St Edmund’s College. He holds a Bachelor of Arts degree from the Australian National University and a Diploma of Education from Murdoch University. Before entering politics, he worked as a researcher at the ANU, a school teacher and a policy officer at the Central Land Council. Having first moved to the Northern Territory in 1976 to work as a teacher, Warren now lives in Alice Springs with his partner, Elizabeth Verstappen, and their four children, Frances, Tom, Tessa and Jack. Warren is an extremely active parliamentarian and is currently a member of three parliamentary committees and three parliamentary sub-committees. As a member of parliament, he has served as Parliamentary Secretary to the Minister for Transport and Communications (1990-2), Parliamentary Secretary to the Minister for Employment, Education and Training (1992-6), Parliamentary Secretary to the Minister for Environment, Sport and Territories (1993-6) and Parliamentary Secretary (Territories) (1993-4). 05/18/2019 NT MP - Lingiari ?? ?